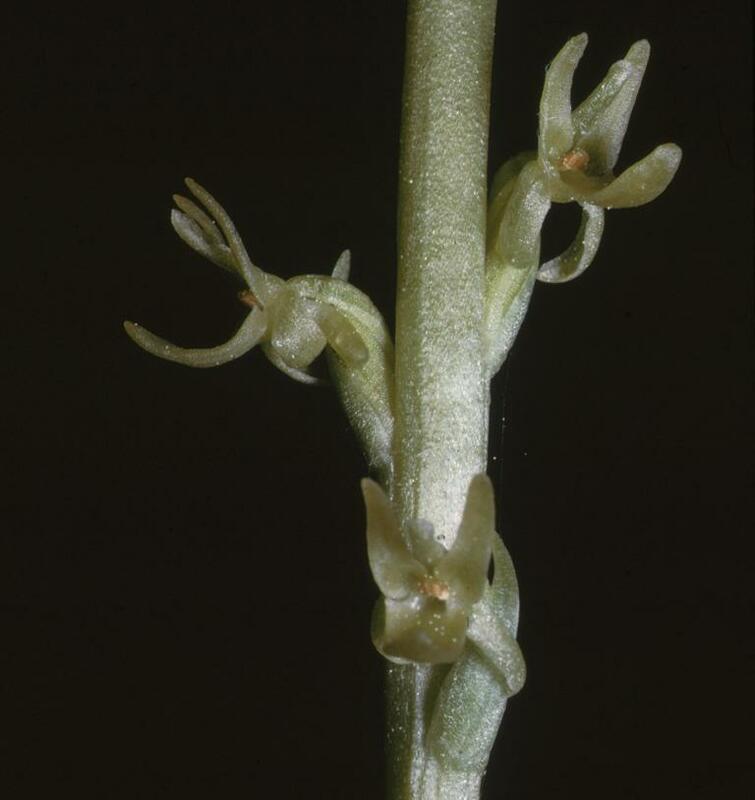 Platanthera colemanii, Coleman's Rein Orchid, is a rare California endemic that grows in a narrow band from the southern Sierra Nevada to the Cascade Mountains. 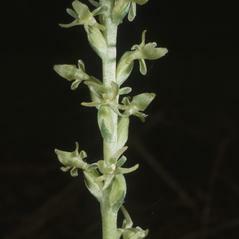 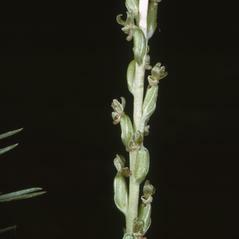 This orchid may reach a height of over 50 cm with an inflorescence of 100 or more, translucent green, scentless flowers. 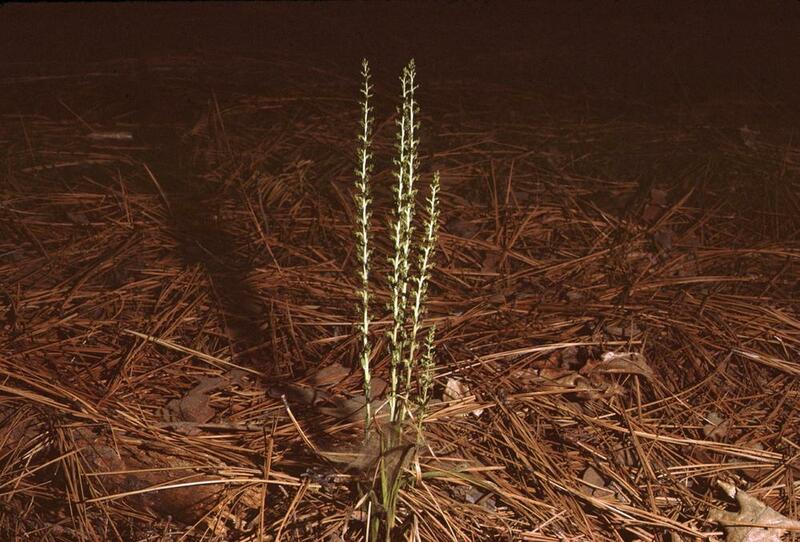 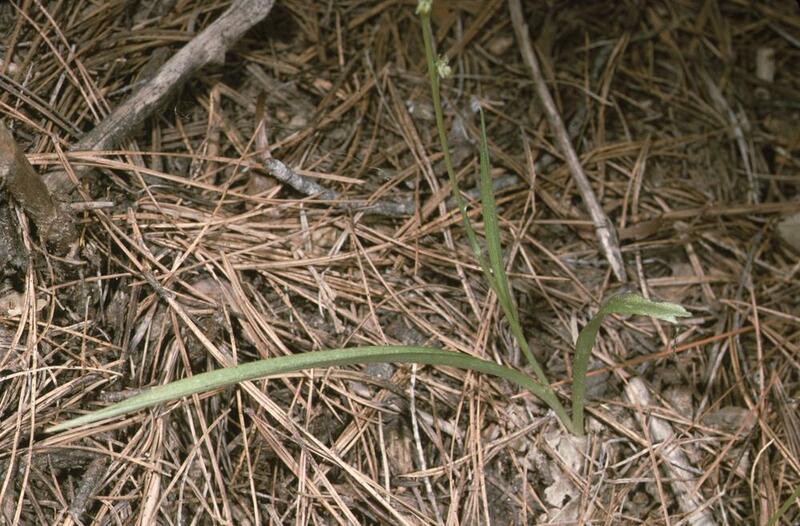 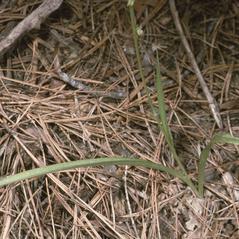 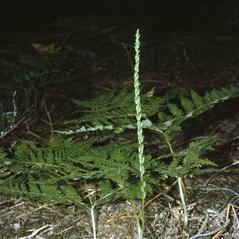 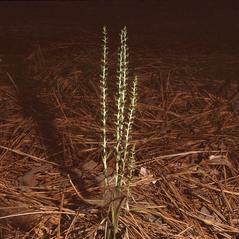 The grass-like basal leaves angle up from the ground and may begin to wither when the plant is still in flower. 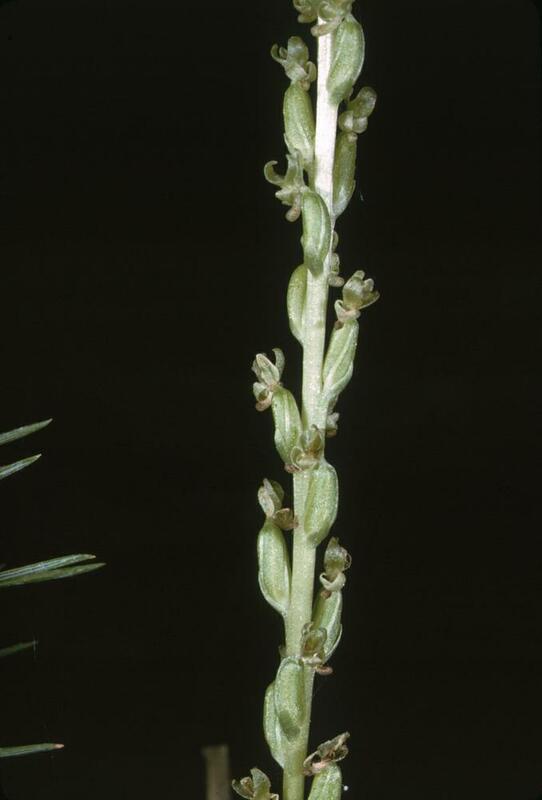 The spur of P. colemanii is always shorter than the lip- a key feature that distinquishes this orchid from the more common P. unalascensis, whose spur usually equals or exceeds the length of the lip. 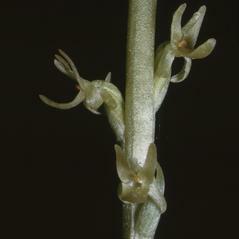 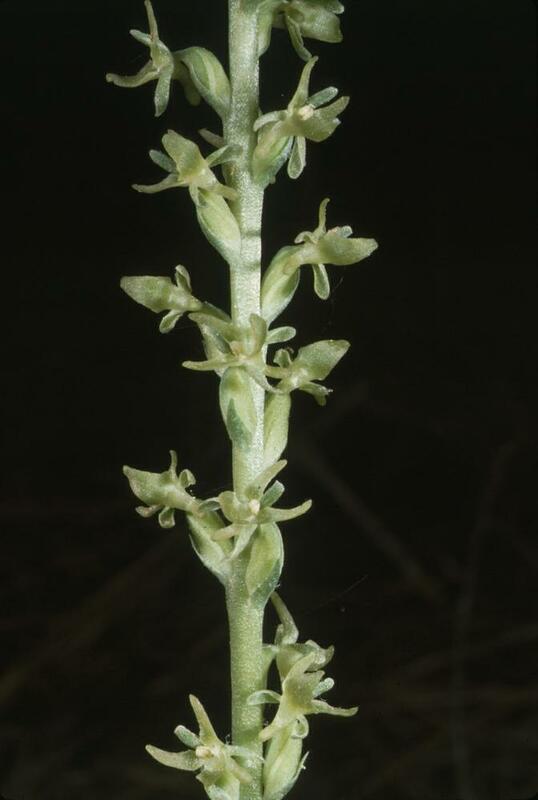 This orchid occurs primarily in open coniferous forests and chaparral thickets in deep, sandy substrates. 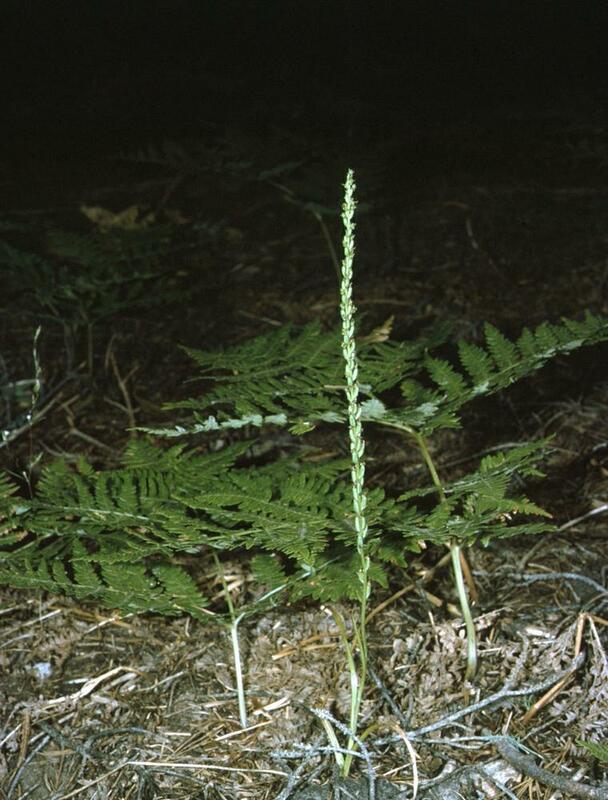 Platanthera colemanii is considered vulnerable, and although this orchid does occur within the protected boundaries of Yosemite National Park, many colonies occur in areas outside the protection of State or National Parks and are subject to habitat loss.